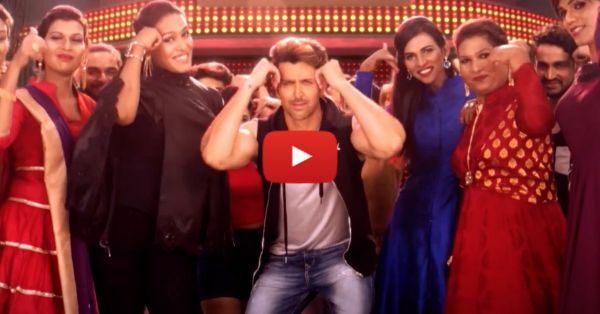 Hrithik's Moves & 6 Pack Band's Taalis: A MUST Watch Song! 6 Pack Band has made a name for themselves already with their spectacular work and their strong social message. After having worked with famous people from the industry like Sonu Nigam and Arjun Kapoor, this time they're got everybody's favorite dancing star. Yes, we're talking about Hrithik Roshan! Get ready for Ae Raju by 6 Pack Band featuring Hrithik's awesome moves and an overall killer video concept. Go ahead, play it now! PLUS: Subscribe to POPxo on YouTube for original videos + our favourite videos from around the web! MUST-READ: We’re LOVING This Indian Cover Of “Happy”… And This Band! MUST-READ: Bolna & Sab Tera Together? Simran Kaur’s Cover Is SO Amazing!